After thirty-two years as the school principal, Dr. Nancy O'Neill Dowdle is retiring from St. Augustin Catholic School. Please share your favorite memory, well wishes, or stories about Dr. Dowdle for a memory book that will be compiled for a retirement gift. A retirement reception will take place on Saturday, May 18, 2019, from 2:00 pm - 4:30 pm in the Saint Augustin Church Parish Hall. 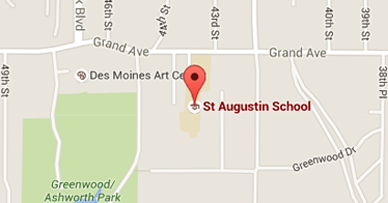 545 42nd St, Des Moines, IA 50312. Help us plan with an RSVP below. RSVP - Number of guest attending the May 18th reception?